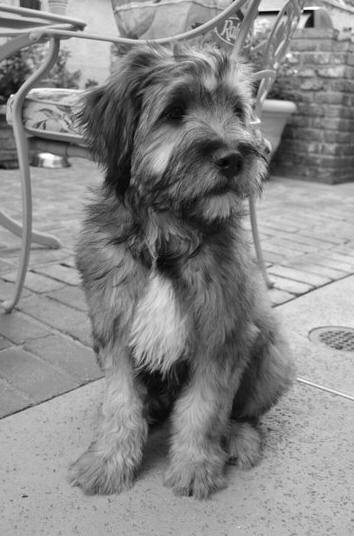 This week’s story is about Kota, a Wheaten Terrier-Border Collie mix. Kota had no idea he was about to bring joy to a heartbroken man and help a couple to become stronger in their love, but that’s exactly what he did. We hope you enjoy reading his story as much as we did. If you are the pet parent of a rescued dog, we want to share your story, too! For information about submitting your story, click here. 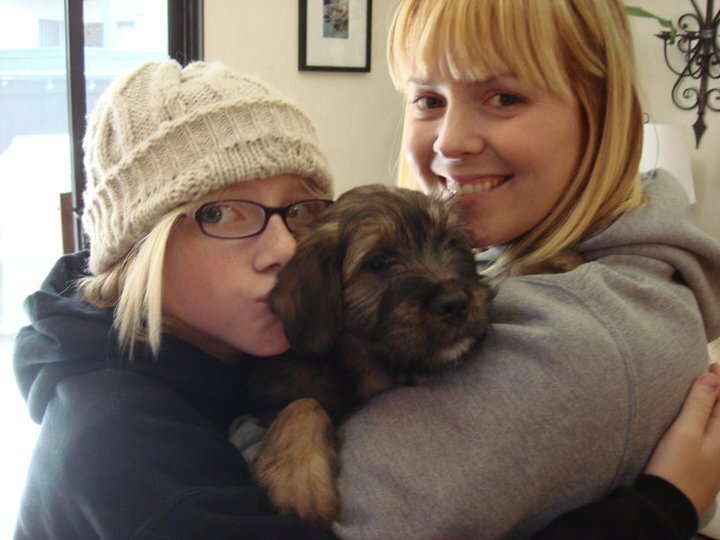 I desperately wanted a dog, but I didn’t just want any dog – I wanted one that was special. I always felt it was important to rescue a dog, rather than purchase one from a pet store. The only problem was my husband did not want a dog. He was going through a very hard time as he had just lost his grandfather. He was really struggling emotionally and I was struggling trying to help him. On top of that, we disagreed on getting a dog, so I was really sad. After about a month of discussing dogs with my husband, and bringing it up again and again, he started to realize how much I wanted one. And so he came around and agreed we could get a dog (a miracle! ), only if I was very responsible and took good care of the dog, of course. As soon as I got the green light from my husband, I searched the internet to find our dog. I searched every local rescue and shelter until I came across Lovebugs Rescue. I looked through their available pets and saw adorable puppies. 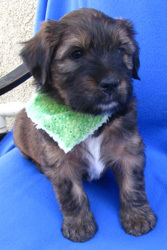 There was one in particular that caught my eye: Dakota, a Wheaten Terrier-Border Collie mix. I fell in love with his picture and desperately wanted to meet him. I told my husband, and with some convincing, we arranged to meet Dakota at his foster mom’s house over the weekend. I can’t even describe my excitement. When we arrived, I met Dakota, but he was incredibly timid. He carefully approached us from behind, not head-on, and if you even flinched he would scurry away. I thought he was just precious, and although he seemed afraid of me, I wanted to do whatever I could to make him feel safe. Slowly but surely, Dakota came closer to me. First he got a good “whiff” of me, then he let me pet him, and the next thing you know, he was rolling on his back wanting a belly rub and flopping all over the place like a clumsy puppy does. It was the cutest thing! Cathy, the foster mom, told me that he was the last to be adopted because he was relatively larger than his littermates and some families thought he would be too big. I wasn’t worried about him being too big. I thought he was darling and wanted him to come home with us. We ended up taking him home and shortening his name to Kota. With each day that passed, Kota warmed up to us and gained trust in us as his new parents. Something that I never expected or planned for was how much Kota helped my husband and me. He became our own little “therapy” dog. I saw my husband laughing and smiling more, and with each day and encounter with Kota, he became happier and began to heal from the loss of his grandfather. Kota helped us bond and through that our marriage became stronger. He also gave me more purpose in life. There is never a day that goes by that Kota does not make me laugh or smile, and I truly feel that dogs are a gift from God to help us feel complete. We plan in the next year to get Kota certified and trained as a therapy dog, so that we can take him to visit patients in the hospital. I believe that we blessed Kota by taking him in, but I know he has blessed us even more by being the most loving and fun dog I have ever had.